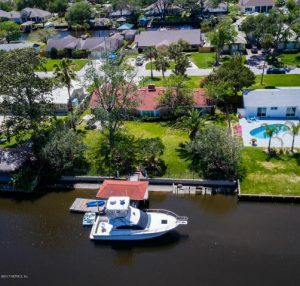 This weekend we have two homes with multiple open house showings, two for a home in the Arlington area, will be held on Friday, May 26th, and Saturday, May 27th, and two for a home on the Intracoastal, in the Southside area, will be held also on Saturday, May 27th, and Sunday, May 28th. Please come by and tour these beautiful homes this weekend. There are wonderful agents available to assist you and answer any questions you may have. Friday, May 26th, 10:00 a.m. – 6:00 p.m.
Saturday, May 27th, 10:00 a.m. – 6:00 p.m.
Amazing home in the desired gated waterfront community of St. Johns Landing Estates. 5 bedrooms with 3 1/2 baths. Wood and tile floors, new carpet in bedrooms. Formal dining room and separate study. Soaring ceiling in family room with wood burning fireplace. Kitchen has quartz counter tops, 42” cabinets and stainless steel appliances. 1st floor master with his and hers walk-in closets. Bonus/game room upstairs with 4 bedrooms and 2 baths. Additional 1/2 bath on 1st floor. The clubhouse offers a pool, boat ramp, small workout room, fishing pier and river access. Saturday, May 27th, 11:00 a.m. – 1:00 p.m.
Sunday, May 28th, 12:00 p.m. – 2:00 p.m.
Great waterfront opportunity in lovely Isle of Palms! You’ll fall in love with this all brick home on almost a half acre lot. 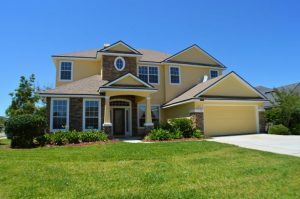 Entrance foyer, formal dining room, family room with breakfast area and kitchen all have custom tile floors. Spacious living room with beautiful hardwood floors and wood burning fireplace with mantle. Sunroom with glass block wall and sliders to the backyard with room for a pool. Nearly 2,000 sq ft home on Intracoastal has 3 bedrooms and 2 bathrooms, and private dock.